On the night of April 14th, 1912, a large ship named the RMS Titanic was sailing across the North Atlantic heading for New York City. The first four days of the voyage were absolutely perfect, in fact, too good according to the passengers aboard her. The Titanic boasted the best of everything including accommodations and food, and every class of passengers was enjoying tastes of the good life, but it would not last. A large iceberg, which reportedly came from either Iceland or Greenland, was drifting along the Labrador current, and right into the North Atlantic shipping lanes. Though Titanic had been warned repeatedly of the ice fields and icebergs heading for her path, the ship sailed on at full speed. 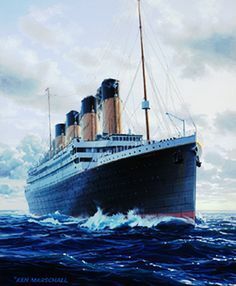 At 11:40, the Titanic would meet a large iceberg head on, and although the bride officers tried to avoid it, the metal hull plates were popped open, by the impact, and sea water came bursting in. Within a two hour and 40 minute time frame, the supposedly unsinkable ship ended up at the bottom of the North Atlantic with over 1500 of her passengers. The disaster was so traumatic that the world would never be the same, and memorials and plaques were put up all around the world so that no one would ever forget her name or her story. 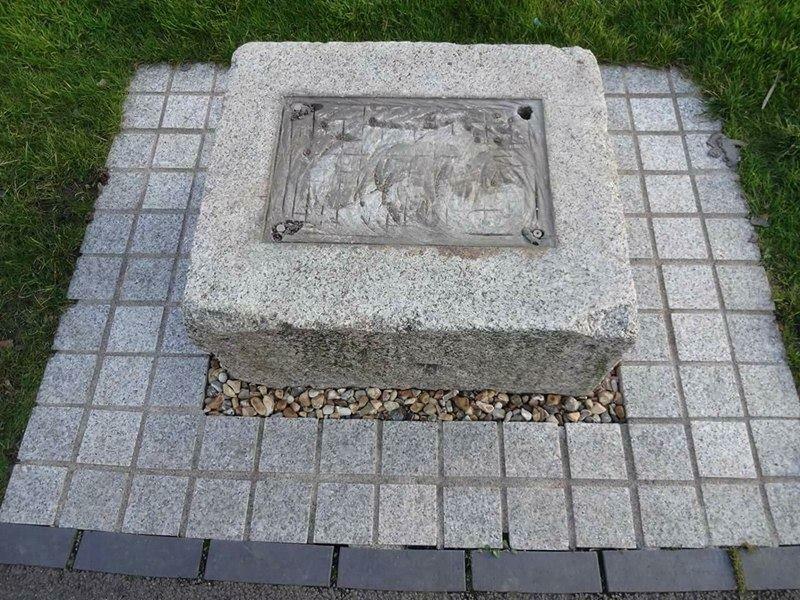 One particular plaque that was put up in Southampton, where Titanic sailed from, ended up stolen, but that was actually not the case at all. 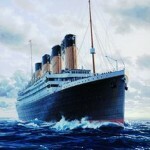 Southampton, England is the place where Titanic set sail back in 1912, and also were the majority of the crew was from. When Titanic sunk, and a survey was taken, literally every street in Southampton had at least one crew member that was lost on the unsinkable ship that was called a modern marvel. To pay honor and tribute to those brave men and women that died, Southampton erected not just one, but several Titanic memorials that were dedicated to the crew. One memorial in particular was located very close to where Titanic was berthed, and it was a bronze plaque that sat on top of a pedestal. 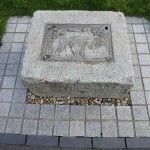 The memorial was erected by Cobwebs, P Croucher, Associated British Ports, and the British Titanic Society back in 1993, and appeared to have been stolen by thieves looking for scrap metal. 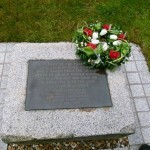 Members of the British Titanic Society were both outraged and angry at the apparent theft of the memorial plaque, and notified the police. In 1993, Cobwebs, P Croucher, Associated British Ports, and the British Titanic Society, commissioned a bronze memorial plaque for all those that lost their lives when the RMS Titanic went down in 1912. The recent disappearance of the plaque lead everyone to believe it was stolen, but it was in fact rescued by a person that saw the plaque was about to fall, and wanted to preserve its legacy. The memorial plaque is now in the hands of the ABP, who will repair the pedestal, and return it to its rightful place close to were the Titanic sailed on that fateful day back in April of 1912. 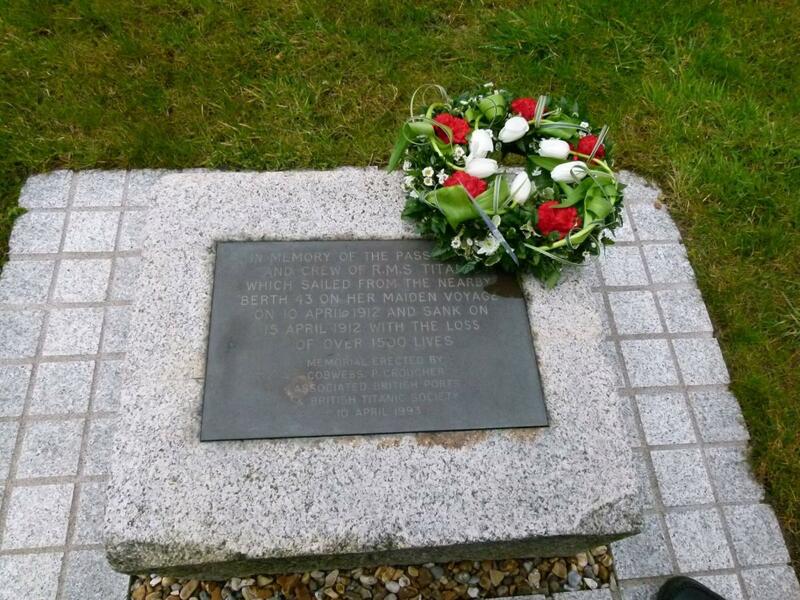 The theft of such a memorial would have been tragic, but the fact that plaque was returned just goes to show that people still care about what happened to the Titanic, and those men and women that lost their lives that day back in 1912. 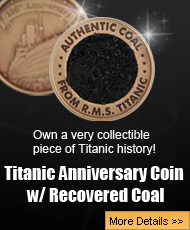 Is Titanic Artifact A Fake?